With Readly you can read Ubuntu Complete Manual and thousands of other magazines on your tablet and smartphone. Get access to all with just one subscription. New releases and back issues – all included. The ultimate guide to mastering the Ubuntu OS! Of the many versions of Linux available, Ubuntu is regarded as the ideal starting point for the new user. Not only is this a friendly environment to start your Linux adventures in, it’s also one made up of a community of like- minded contributors, users and developers. Ubuntu offers you a complete desktop package out-of-the-box, consisting of a productivity suite compatible with Microsoft Office, media playback, programming and app development, as well as security and stability. What’s more, it’s free; completely free to download, install and use, and it always will be too! 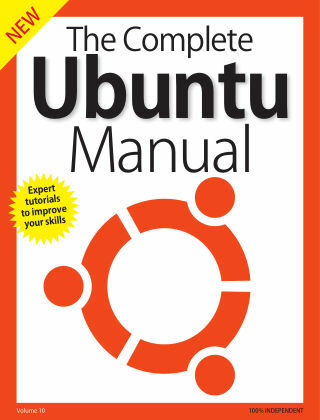 If you’ve ever wondered how Ubuntu works, how to install and use it, and how to experiment and tweak it to your own personal tastes, then this is the manual for you. 100% unofficial.